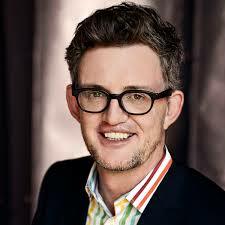 Michael Bungay Stanier is the author of The Coaching Habit: Say Less, Ask More & Change the Way You Lead Forever as well as the Senior Partner and Founder of Box of Crayons, a company is best known for its coaching programs, which give busy managers practical tools to coach in 10 minutes or less. Before discussing The Coaching Habit, a few general questions. First, who has had the greatest influence on your personal growth? How so? I was born with a cleft lip and palate. My Dad has one too, as does one of my two brothers. It means I’ve got a slight speech impediment, and a look just a little different if you know what to look for. There’s a way that that difference (or any difference) can shut you down. But my parents did a wonderful job in supporting a sense of self-worth, and that’s been a foundation for much of the success I’ve had. There have been ups and downs of course (being a teenager… but that’s the case for nearly everyone, I think). And now I see my cleft lip and palate as a source of… authenticity, strength, difference, so sort of a combination of all that. That’s a tricky thing to pin down, Bob. I tend to think we’re all pointillist paintings, dots of color from the various teachers and mentors we’ve had in our life, so to name just one dot out of many…. But rather than name a thinker like Peter Block or a poet like David Malouf, I’ll mention my friend Michael Bachelard. He’s now an award-winning journalist in Australia, but when I had just started university he introduced me to Lifeline, a telephone crisis counseling service. That’s where I did my very first training in learning how to ask a good question and listen to the answer. It turns out that that’s now a major focus of the work we do. The Lifeline training was certainly a turning point. Another one was, shortly after moving to Canada, being fired from my job in a financial services company. It was a little upsetting, but almost entirely liberating. I was having a miserable time, but probably wouldn’t have had the courage to quit for another six months. This set me free, and shortly after that I started my company Box of Crayons. I’ve spent a LOT of time in formal education. I have a BA in literature, a law degree and then at Oxford I did a master’s degree in modern literature. In terms of content, it’s fair to say that almost zero percent of what I learned was useful to my career. But in terms of experiences that have shaped who I am, well, that’s a different story. Whether it’s from meeting my Canadian wife at Oxford, or leaving my Australian university being sued by one of my law lecturers for defamation, these have been foundational to shaping who I am. That success comes not from just working hard and letting your work speak for yourself. I love Dan Pink’s least-known book, The Adventures of Johnny Bunko. It’s the five secrets about what work is really like and I’d recommend it as a gift to anyone starting a career (and it’s pretty good for all of us already working too)! Here is one of my favorite quotations from Michael Porter: “The essence of strategy is choosing what not to do.” What do you think about that? I love that quote. People use the term “strategic” all the time but it loses its value if it’s not connected to something real. One of the Seven Essential Questions in my book has to do with saying no to something in order to say yes to something else. Just like Michael Porter is saying in his quote, strategy is really about defining your Yes with a No. Now please shift your attention to The Coaching Habit. When and why did you decide to write it? It was fueled by a frustration by how coaching was made too remote, too specialized, too complex, too niche. I really think that being more coach-like – and by that I mean staying curious a little longer and rushing to action and advice a little more slowly – is just a great human skill. It took me four years and at least five bad versions of the book before I finally got it written in a way I wanted. What are the defining characteristics of a superior coach? To me, coaching is about insight that leads to awareness and positive impact. And if you can inspire positive change while being brief, lazy and adequate, I think you’ll find that you’re more coach-like than you think! The most important thing a manager trying to be a better coach can do is ask questions. But one thing it’s worth me continuing to tease apart. I’m less about making people into coaches, I’m much more about helping regular people be more coach-like: be curious a little longer, rush to action and advice a little more slowly. The kickstart question does just what its name says — it kickstarts the conversation by asking: “What’s on your mind?” It’s the perfect opener because it helps eliminate useless small talk and get to the heart of the matter. It’s open but it’s still focused. It invites the other person to get to what’s bothering or exciting them at the moment. It’s the first half of what I call the “Coaching Bookends.” It gets the conversation going in the right direction. This is the best coaching question in the world: “And what else?” Our first answer is never the only answer and rarely our best answer. Asking, “And what else?” demands more — more answers, more possibilities. It also helps us tame our Advice Monster. Instead of offering advice, you’re asking for more answers and you’d be surprised what can be generate by simply asking these three seemingly innocuous words. This is one of the more difficult ones: “What do you want?” It’s difficult to ask and it’s difficult to answer. We often don’t realize what we actually want, so when we ask someone this question, they normally need a moment to think about it. When asked properly, it shouldn’t cause a fight-or-flight effect to spread across the room. It should get the person thinking about what it is they want and how they can get there. It might also mean that they will be asking something of you and sometimes that scares the time-crunched manager. There are things we need to say no to sometimes, but more on that later. It may sound surprising, but being a lazy manager will make you a better coach. The lazy question to ask is: “How can I help?” Instead of jumping in and taking over, you ask this question that keeps you curious and lazy. It forces the other person to make a clear request and it helps you both work towards the real issue, and not the one you thought they needed help with. Remember when I mentioned that sometimes we need to say no? This question addresses that: “If you’re saying Yes to this, what are you saying No to?” A Yes is nothing without the No that goes with it. This question forces the other person to prioritize and understand what needs to stay and go in order to make their new commitment real. This question is the second half of my “Coaching Bookends”: “What was most useful for you?” As it turns out, adult learners don’t learn by listening or even by doing something. The way that they retain information best is by reflecting on what they’ve just learned. This question helps create a moment in which learning can take place. It also wraps up the discussion nicely as it gives a sense of meaning to both sides. In your opinion, what are the most important Dos and Don’ts to keep in mind when coaching? Ironically enough, the best advice I can give is to give less advice. Talk less, ask more. The more questions you ask, the easier it becomes to do and the more productive the conversations become. Sometimes we don’t realize it, but by jumping in with advice, we’re actually disempowering our employees. Asking the right questions maximizes their potential by allowing them to learn and develop in their careers. Of all that parents can learn from your book, what do you think will befog latest value to them? Please explain. We’ve had parents say that the book really applies to them and I think that’s because it helps with communication. Parents, like managers, are quick to jump in to help and offer advice, but asking questions like the ones I’ve outlined helps them slow that rush to action. Knowing how to ask questions instead of offering advice can help you figure out what’s really bothering your teenager and it will make them feel like you’ve listened too. What about classroom teachers Please explain. Teachers are likely pretty good at asking questions, but we’ve heard from them that some of the coaching tools mentioned in the book help them know how to draw out their students and I imagine that, “And what else?” comes in handy in that setting. I can see how these questions would be helpful in day-to-day coaching conversations that teachers have so often with their students. For more than 30 years, it has been my great pleasure as well as privilege to work closely with the owner/CEOs of hundreds of small companies, those with $20-million or less in annual sales. In your opinion, of all the material you provide in The Coaching Habit, which do you think will be of greatest value to leaders in small companies? Please explain. At Box of Crayons, we aim to help managers become more coach-like and I hope that’s what this book does for the people who read it. Leaders in small companies are often overworked and overwhelmed so they don’t feel like they have time to coach their employees. But at the heart of this book is the idea that managers can coach their employees in 10 minutes or less. And at the very least, I’d hope that readers finish the book with a practical coaching script that would help them do that. It’s all about working less hard and having more impact — by asking questions instead of offering advice. First, you can download free chapters of Michael’s latest book by clicking here. ← Hellman’s Mayonaise: The rest of the story….